Sometimes in life and in sports, you just have to go with the flow – a motto which has been working for Brittany Marchand; and more importantly, it’s leading her in the right direction. Since turning professional in 2015, the N.C. State University graduate and former national team member from Orangeville, Ont., has seen steady advancements in her game. “After she graduated, Brittany has had the time to really focus 100 percent on her game and we’re seeing her make improvements each year,” noted Team Canada women’s head coach, Tristan Mullally. While she enjoyed a respectable first full season on the Symetra Tour in 2016 – making the cut in 19 out of 21 events while recording three top-10 finishes – the 2012 Ontario Women’s Amateur Champion has turned it up another notch this year. In June, Marchand made her first cut at an LPGA event during the Manulife LPGA Classic in Cambridge, Ont. In fact, she headed into the final round at the Whistle Bear Golf Club in a tie for ninth spot. But, after struggling on the Sunday, she had to settle for a 46th place finish. 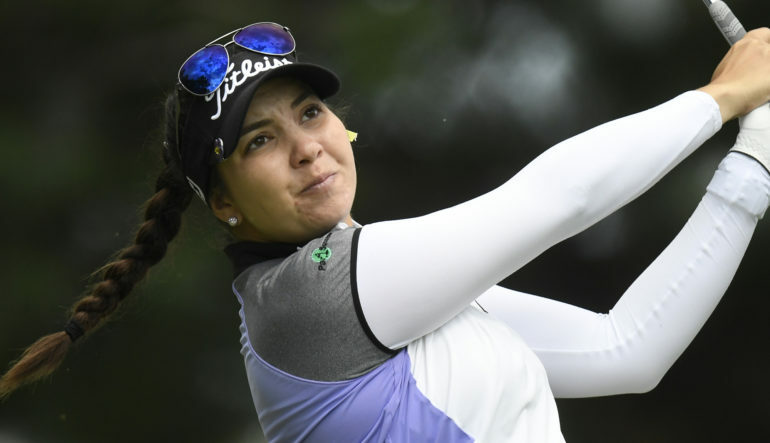 After the Manulife tournament, Marchand would miss the cut in three out of her next four Symetra Tour events before a breakthrough performance at the PHC Classic. The 25-year-old posted a combined three-day score of 13 under par to claim the victory in Milwaukee, Wisc. Marchand’s victory at the PHC was her first on the Symetra Tour; and was made even sweeter by the fact that it also came with an exemption into the Evian Championship – the fifth and final LPGA major of the season. The Orangeville, Ont., native continued her winning ways the week after when she captured the DATA PGA Women’s Championship by edging out her good friend, Augusta James, in a playoff at the Scarboro Golf & Country Club. “After the Manulife, it’s been a little up and down since then… But these last couple of weeks, I’ve really been able to hone in on it,” noted the Wolfpack alumna, who holds a degree in chemical engineering. Mullally says Marchand’s hard work and dedication is starting to pay off – in more ways than one. “She’s just been working hard on all facets of her game and just chipping away and getting better every day; and now she’s getting the results,” he said. Someone else who has taken notice of Marchand’s maturity and growing level of confidence is four-time LPGA TOUR champion, Lorie Kane. “I played with Brittany last year in Calgary at the 2016 CP Women’s Open and she ended up missing the cut; and that should have never happened. She played pretty solid right into the end and I think maybe she got a little bit nervous,” said Kane during this year’s CP Women’s Open. “To see how far she has come and to have won on the Symetra Tour like she did; and then to do it again at the DATA championship, it’s safe to say she’s trending in the right direction,” continued the Canadian Golf Hall of Fame member. With the top 10 players on the Symetra Tour money list earning full status for the LPGA TOUR next year, Marchand currently finds herself on the outside looking in – but still very much within striking distance. 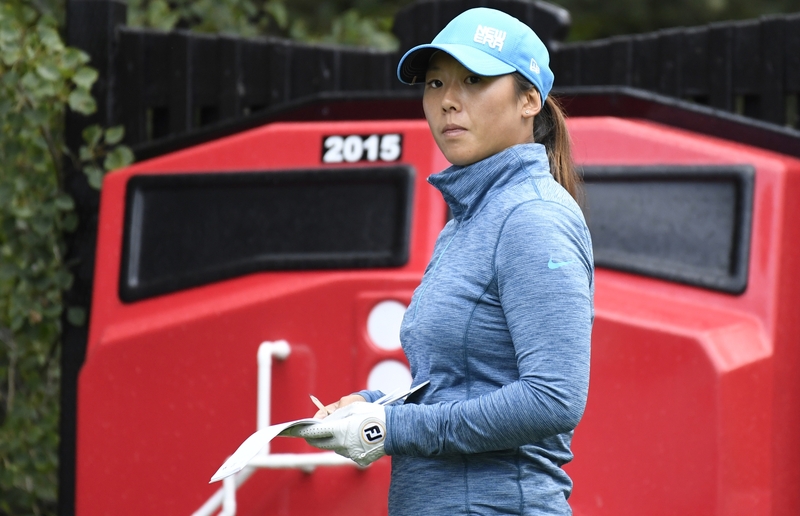 She points out that the prospect of finishing the 2017 Symetra Tour season inside the top 10 will be a bit more challenging given her exemption into the Evian Championship – which runs from Sept. 14 – 17 in Evian-les-Bains, France. “Getting onto the Evian through winning the Symetra Tour event was a blessing and a curse as I’m going to miss a couple of Symetra Tour events. I’m going to have to push in four events to try to get my card,” she pointed out. However, Marchand says her performance at the CP Women’s Open is a confidence booster and a reminder that she has the game to hold her own against the LPGA’s best. 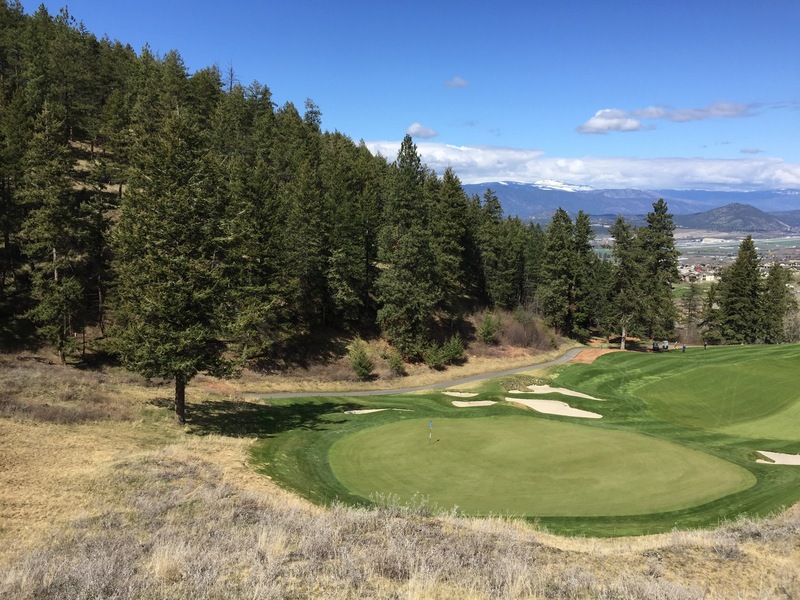 “To know that I can play out here gives me confidence when I go back to the Symetra Tour. Obviously, the competition there is tough as well, but it gives you that little boost,” says Marchand, who along with Brooke Henderson were the only two Canadians out of 14 to make the cut at the Ottawa Hunt & Golf Club. 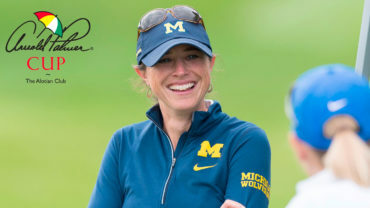 While her goal – similar to that of any Symetra Tour pro – is to compete full time on the LPGA, she understands that golf is a mental game and there’s no need to over think things at this point. Instead, Marchand prefers to simply go with the flow; and takes comfort in the notion that if she plays her game, the results will take care of itself. “I don’t really want to put expectations on it. I just want to go out and play the way that I’ve been playing,” said the talented 25-year-old Symetra Tour pro.